Best Rite 2 x 3' Rubber-Tak Tackboard is an eco-friendly way to make your classroom or office more efficient. 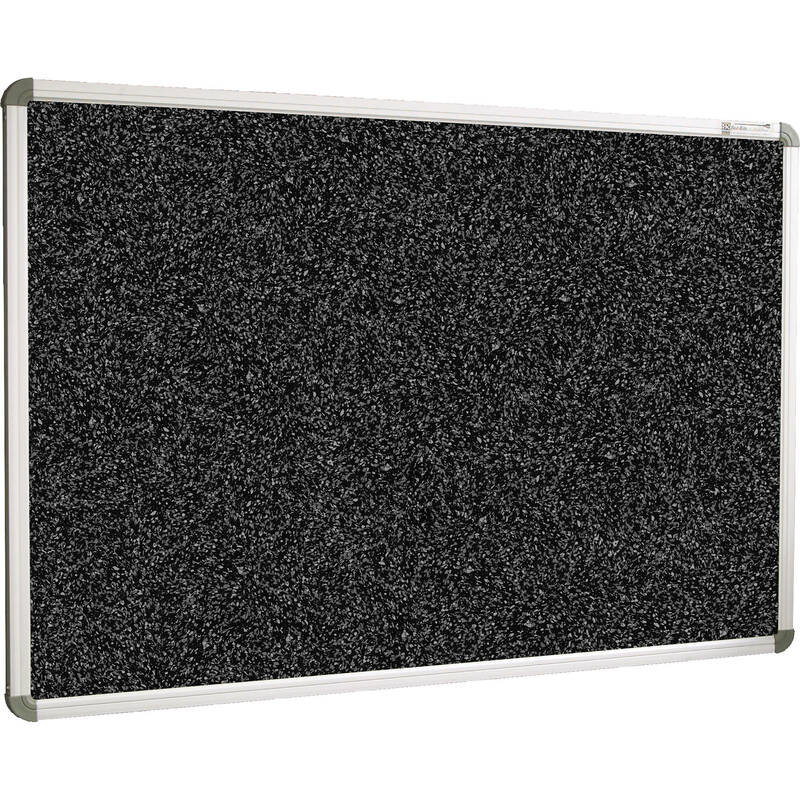 Made from recycled rubber, this board is safe from germs, easy to clean and shock absorbent. "Tak" pages to it with just a touch. It is available in various colors to suit your decor and features a Euro cut design. Euro cut signifies no sharp corners - a definite benefit in the classroom. The cast aluminum, injection molded design delivers long-term reliability. This board is backed by Best Rite's excellent 50-Year Warranty. Box Dimensions (LxWxH) 26.0 x 8.0 x 2.0"